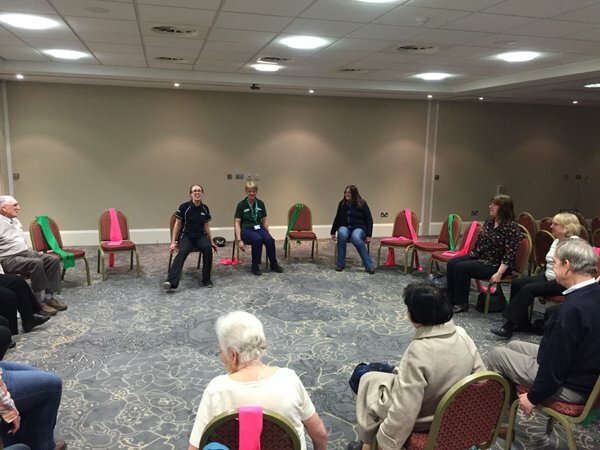 Our chair based exercises are an excellent way to work towards strengthening your muscles, improving your balance and make everyday activities easier. Our sessions run at a few of our Sefton Centres with qualified coaches, in a supportive and motivating group environment. 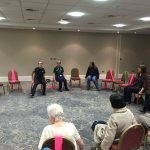 Our sessions are open to all individuals who would like to partake in low level physical activity and are particularly beneficial for people with mobility problems. There are no restrictions on attendance though if you do have any specific medical needs please speak. For all classes please ring the appropriate centre and book your place a week in advance. For any further information please call the main office on 0151 934 2352.